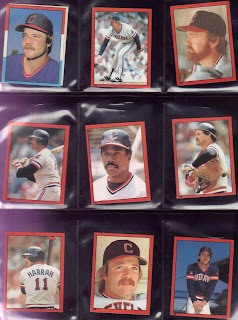 In 1982, Topps continued their mini stickers with album, only this time, they put red borders around the stickers. 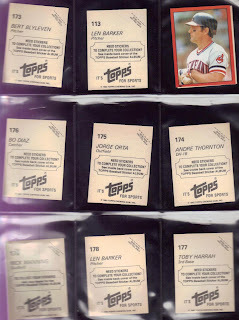 I guess when you take several pictures of the players, ya gotta do something them! 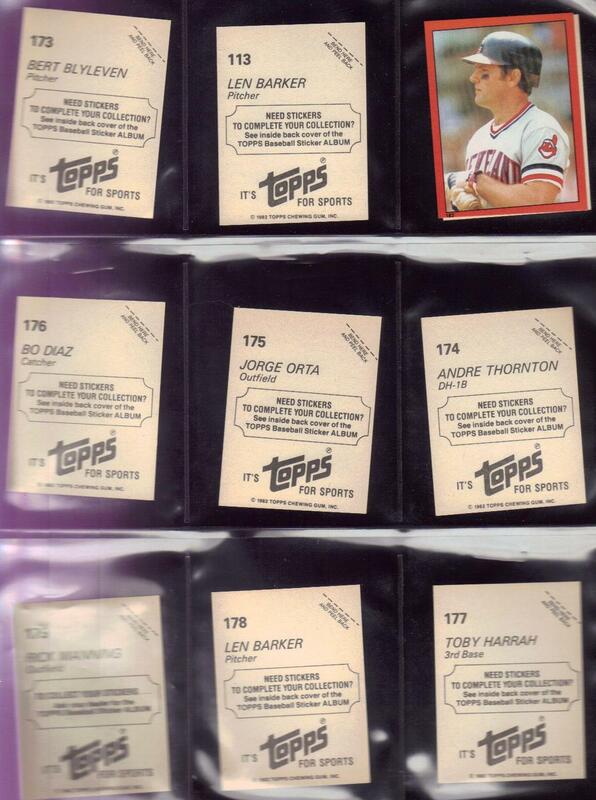 That Rick Manning (lower right) sure reminds me of a photo on a card I've seen. I'll have to see if I can find that. 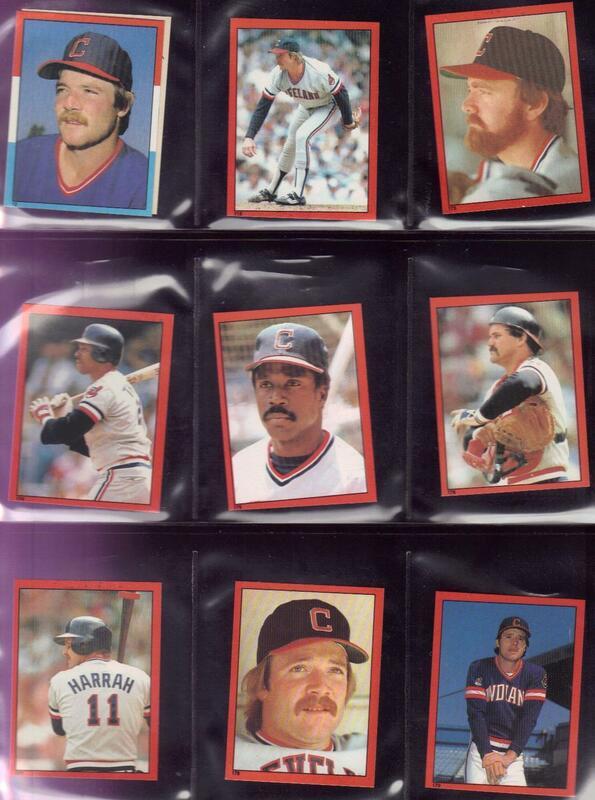 The back had the players' names, sticker number, and an ad for you to get more stickers. Although, really, the ad is for you to buy an album so you can see how to get more stickers. Clever. In today's lingo (and if this were online), we'd have a clickthrough.